Hey ya'll and happy Friday! 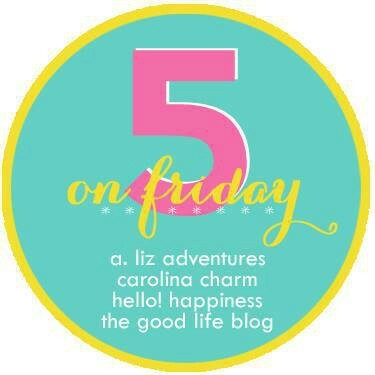 I haven't done a Friday 5 linkup in quite some time so I'm excited to be back and linking up with April from A. Liz Adventures, Amanda over at Meet @ the Barre and Karli with September Farm. Grab the button and join in and have a fabulous weekend! 1. My brother-in-law's girlfriend shared this on my wall yesterday and it is 100% me! I mean, those bookends, that lamp and pretty much everything else needs to magically appear in my home! 2. 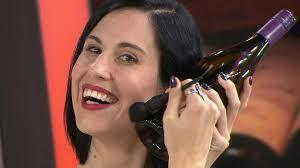 If ya'll watch the Today show like I do then you've seen this already - if not, watch it. It's fabulous! 3. So hubby and I finally finished Gossip Girl and ya'll....I'm sort of depressed! How will I get my daily upper eastside fix with a side of intense scheming?! How?! I did love how it ended though - I definitely didn't expect 'that person' to be 'gossip girl' ... whew! So, as for our new throwback binge, guess what I got him to agree to start because he's never seen it? Friday Night Lights!! 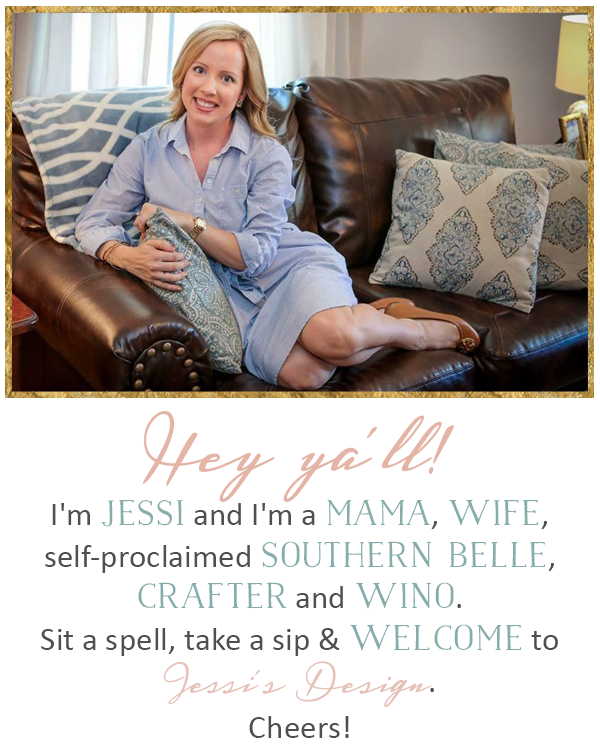 Bring it on, I'm ready for some Coach T and more Connie Britton in my life! "Clear eyes, full hearts, can't lose!" 4. So Zappos sent me a $30 off coupon that I clearly couldn't let go to waste am I right? 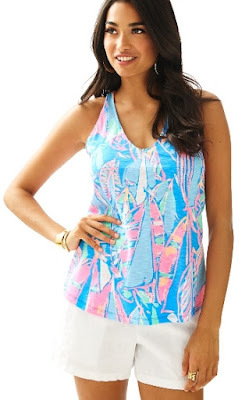 I snagged this adorable Lilly tank in a print I've been wanting! Can't wait for it to get here! We have that blue tank outfit too! That pineapple article is so perfect! So I'm bad and already know who GG is - my question is, how was this plausible in most cases? oh that tank is so cute!! i have never seen friday night lights, i have heard it's pretty awesome though. i'll see if i can talk KC into watching it with me. have a good weekend! Oh Friday Night Lights!! The best ever! Love the Lilly top you chose too! I love watching Andi on snapchat! She is too cute!! We're about to start binge watching Friday Night Lights, too! We've never seen it! 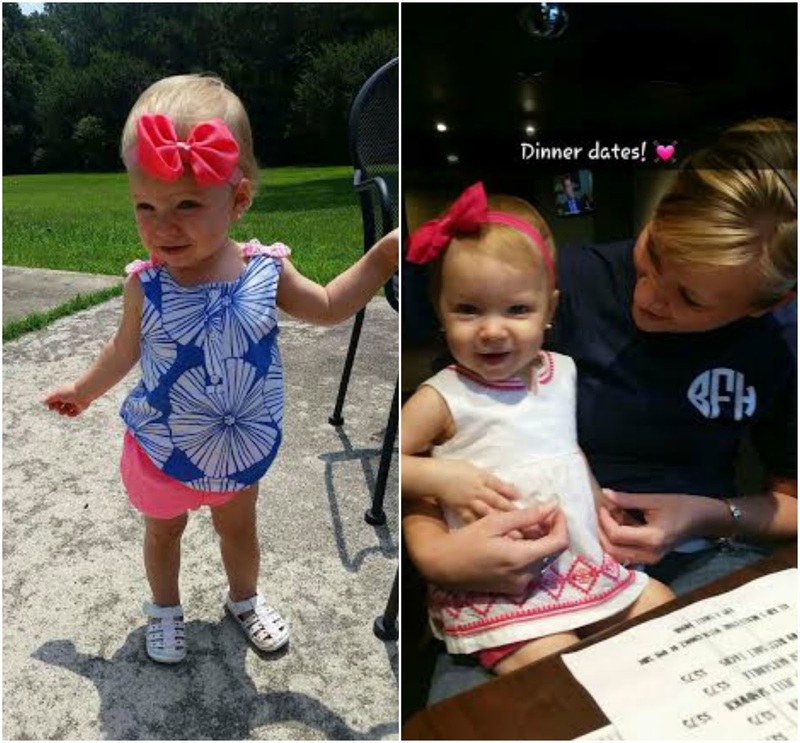 And Olivia totally has that same outfit that Andi's wearing in the bottom left picture! So cute! Friday Night Lights is probably my favorite show!!! I have yet to hear someone that does not like it!